On the western border of the Taklimakan Desert in southwest Xinjiang, there is a beautiful oasis, in the center of which stands the old and ancient charming city of Kashgar. 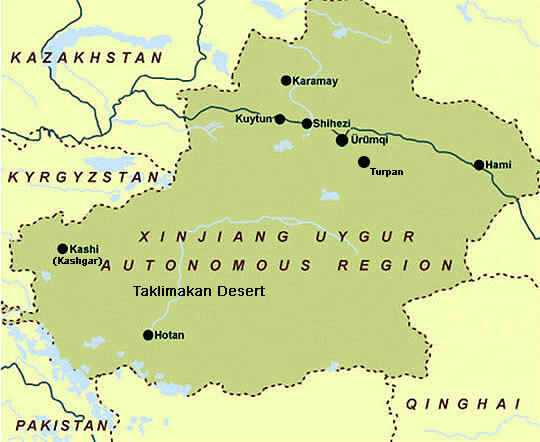 As early as 2,000 years ago, Kashgar, covering an area of 162,000 square kilometers, was an important outpost on the northern Silk Road. A total of 17 different ethnic groups live here. Of the whole population of 3.34 million, more than 92% are Uygurs. 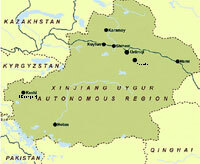 Islam is the dominant religion of Kashgar. More than 9000 big or small mosques are widely spread in the region. An hour's walk through town will reveal Uygur craftsmen with decades of history on their weather-worn faces; markets with rows of shimmering silks, knives and jewelry and narrow backstreets lined with old plaster-thatch homes. With all the trading activity, one couldn't call Kashgar 'laid-back', but it has a great atmosphere and is a fine place to settle back for a week or so.